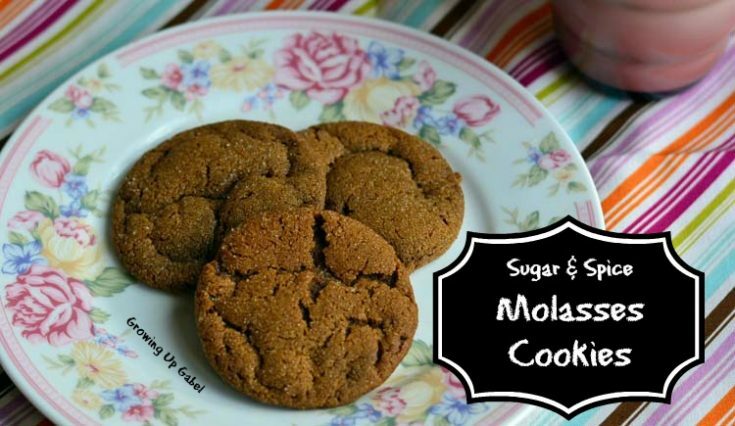 Molasses Cookies are one of my favorite cookies to make in the fall. 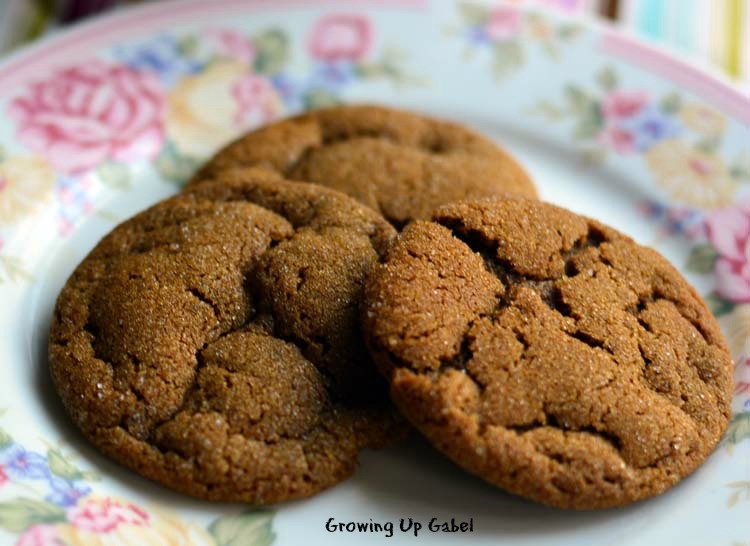 These spiced molasses cookies are easy to make and bake for a fun back to school treat. Welcome to the inaugural Fill the Cook Jar Blog Hop! I have joined forces with a great group of bloggers to bring our favorite cookies once a month so that you can fill your cookie jar with delicious treats. I don't bake cookies often enough and I'm hoping this fun monthly blog hop will help me be inspired to bake more cookies. This month I chose a molasses cookie recipe from my friend's mom. Way back during my freshman year in college my roommate's mom sent her a package with these cookies in them. I just about died from happiness when she shared with me! I immediately requested the recipe and her mom sent it to me on a post card, which I still have to this day. If you let the dough chill for a while then let it warm up a bit before scooping the cookies out. The cookies will turn out a little thicker. If you want to bake right away, just let the dough firm up in the fridge before cooping. In the bowl of a stand mixer fitted with paddle, cream together the butter and sugar, about 5 minutes. Add egg and molasses and beat to incorporate. Mix in flour, baking soda, cinnamon, and salt. Cover mixing bowl and chill. Roll dough in to 1" balls and roll in sugar. Bake 8-10 minutes, just until cookies rise and then start to go down. Don't forget to check out the other delicious cookie recipes to help #FillTheCookieJar! I think I might have to add these to the list of cookies I am making for Christmas! LOVE molasses cookies. I can only have like one or two at a time because they are so rich, but they are in my top 5 of cookies! Yum I bet these are tasty. I have a jar of molasses and have been looking for something to use some of it up and these would be perfect! These look wonderful. I have friend that used to make something cookies similar to these, and they were delicious. I’m going to have to try these! I haven’t made molasses cookies for a long time and these look wonderful. I could go for one or two right now. I just love Molasses cookies! I think they are one of my all time favorites! Thank you for being a part of the Fill The Cookie Jar group! I can’t wait to see what you make next month. By the way, I love that you still have the recipe card – wonderful memory! Your molasses cookies look absolutely delicious. I love a good molasses cookie. This one is a must try. Thanks for sharing it.